the personalized care & attention of non-corporate healthcare. speech therapies & all stages of Alzheimer's/dementia care. 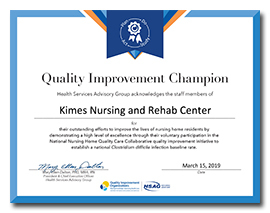 We have been selected as Quality Improvement Champion! In need of hospice services? 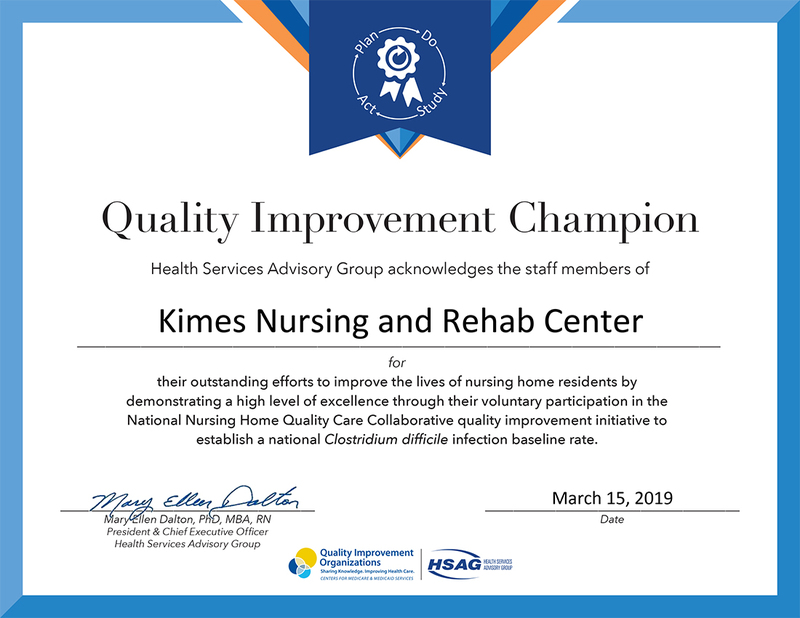 Visit Hospice of Kimes. 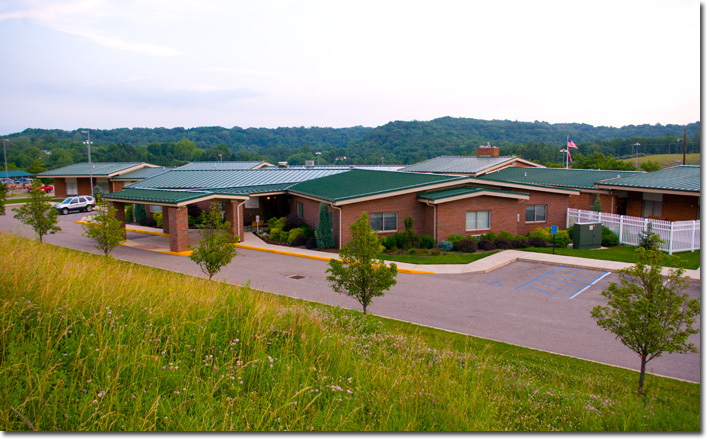 We are an independent, family owned and operated facility.